Codiva is an online compiler and IDE for C, C++ and Java. We have been using Codiva.io for the bulk of this semester. It is our first foray into online IDE's and I have investigated each one at length. Codiva.io provides the best balance on speed and functionality and has become our default IDE. 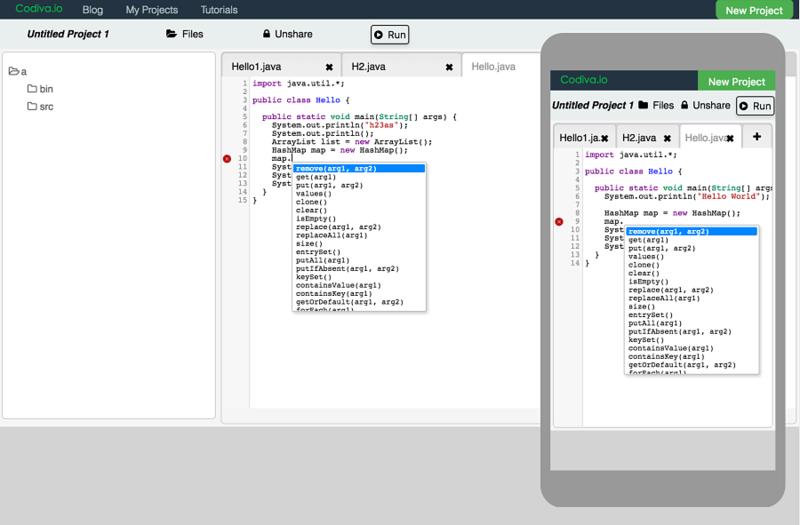 It allows you to write real code in Java and run it right in your browser. Everything works quickly and reliably. I've been looking for this solution for a long time and found that the codiva.io is the best option. Igor Dolgov. Founder of Khasang. Need more options? Create an account.